Well-known ichthyologist and fishery worker. After graduating from Moscow University, he was in charge of fisheries in the Far East, produced scientific research. Since 1912, he headed the entire fisheries of Russia and organized many expeditions to study fishing. In 1913 he founded the first higher education institution in Russia in fisheries: the Department of Fish Science at the Moscow Agricultural Institute (now Timiryazev Agricultural Academy). The last years of his life Brazhnikov spent in Tokyo, giving lectures at the Institute of Fish Science. His main scientific work: "Autumn fishing in the lower reaches of the Amur" and "Materials on the fauna of the Russian eastern seas". 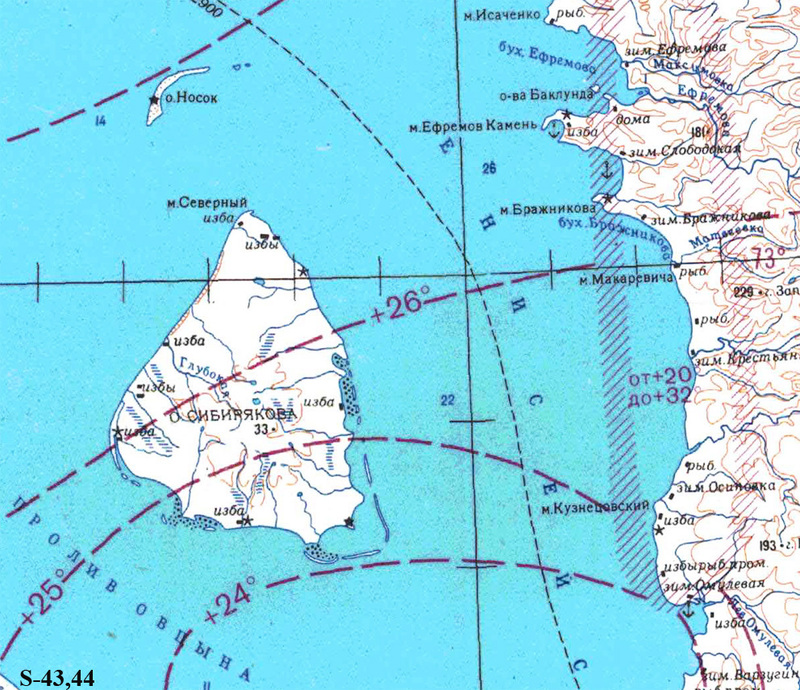 Cape in the Yenisei Gulf of the Kara Sea. It is mapped on the VCE. Named in 1912. Bay in the Yenisei Gulf. Named at the cape.